Two fresh new cuts from the duo off of Mike’s sophmore mixtape, One Foot Out the Door. You know the deal. 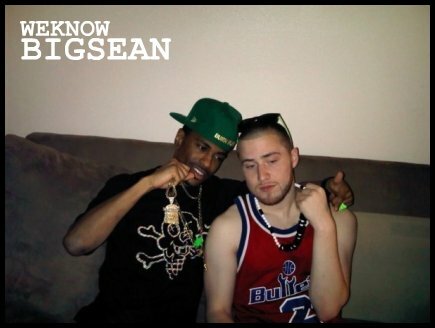 A look into the life of Big Sean. Sona Doshi Is Finally Famous!!! WeKnowBigSean cofounder Sona is the latest person to be featured in the Finally Famous section of Big Sean’s Blog! Keep the love coming and leave her a comment in the comment section. What’s good Big Sean?! 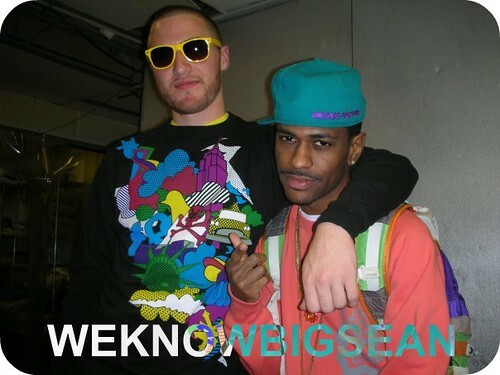 My name is Steven and I am one of the founders of the Big Sean fan site Weknowbigsean.wordpress.com. I am writing you this because I think my friend Sona Doshi is Finally Famous. Not only is Sona without a doubt the BIGGEST Big Sean fan in the universe, her passion for hip-hop music is unparalleled. Sona is also one of the founders of Weknowbigsean.wordpress.com, she is a co-contributor to her own blog www.onenecktwochains.blogspot.com, where she blogs daily about her favorite hip-hop artist, and she is a Full-time student at the University of Texas. Sona balances her love for good music with an appreciation for her pursuing her education; all the while aspiring to one day go to medical school. It is my opinion that Sona is the biggest reasonWeknowbigsean.wordpress.com is as successful as it is and with her on board there is no limit to what we can do. So for these reasons I believe that Sona Doshi is and should be recognized as Finally Famous. Click on the image above to watch Big Sean and Mike Posner perform “Cooler Than Me” live on national TV for the first time ever (not to mention a cool video bio of Mike beforehand)! Big Sean performs “Smoke N’ Drive” (minus Mike Posner) at Howard Yardfest. Christopher Truth of “The Press Play Show” talks with Mike Posner + Big Sean after their performance at Austin City Limits. They talk about balancing school/music, social media, learning from Kanye West, their labels and more. Here’s some footage of Big Sean & Mike Posner performing live in San Francisco. A LOT more after the jump, check it out!